I want you to think about your favorite scene from your favorite movie. Can you tell me how many characters are in the scene? Can you describe to me what they’re doing? Now, can you also tell me where the scene takes place? Of course you can. A film’s setting helps define that film’s story. It gives the audience an idea of the type of story they’ll be watching and often even becomes a character in the film. 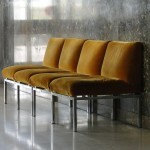 Need an example before we get into the nitty-gritty of scouting for locations? Take a look at this trailer for Woody Allen’s Manhattan. Now take a look at the trailer for Martin Scorsese’s Mean Streets. Both Directors are synonymous with New York, both movies are set in New York, but the stories are very different and their locations reflect this. A Stage: A stage is basically a building where you can build your sets. The benefit to this option is that you have complete control over the environment and actual structure of the set. A wall can be moved so that a camera can be placed to get a certain angle. Have you seen Room yet? This Academy Award nominated film’s main location is not only the title of the movie but is also a built set. Check out this featurette with the Production Designers talking about they created Room. A Practical Location: Often referred to as just a Film Location, this means that the filmmaker shoots in an actual existing location. The scene is set in a house, you film in a house. Low budget/independent filmmakers often utilize this option because it can actually be less money to shoot in a local location and dress it (meaning make it look the way you want) than to rent a stage. There’s also an added authenticity for the audience; they know that what they’re seeing actually exists. Here’s the trailer for another Academy Award Nominated film, only this one was shot on location. To the less trained eye, a Film Location is simply the place that a film (or television show) is filmed, but a specific location can really add depth to a story. However, this doesn’t mean that a location should dictate the story. 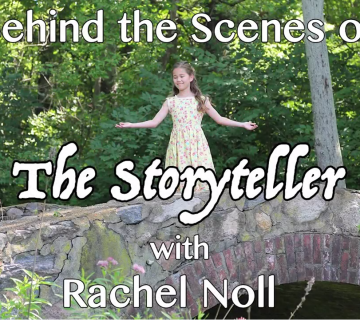 In the case of The Storyteller, Writer/Director Joe Crump and Writer/Producer Rachel Noll found a balance between using locations to fuel their ideas and letting their ideas inspire their locations. 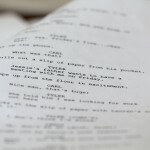 Once the script is written, production is tasked with finding suitable locations. There are many factors, both logistical and creative, that a filmmaker should keep in mind when choosing the locations. The first step is to decide where you are going to film the project. 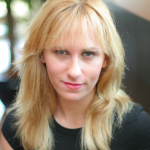 Many states offer production benefits for companies to shoot in their state/locations? These benefits can include Tax Credits, Cash Rebates, Sales Tax and Lodging Exemption and/or Fee-Free Locations. Tax Credits: When a production company works in a specific state, they will have to pay an income tax back to the state. If a production company meets the minimum spending requirements as determined by that state, then they (the production company), will qualify for a tax credit. This means that a portion of the income tax will be given back to the production company. On big productions, this can end up being rather large amounts. Cash Rebates: These are similar to tax credits in that money are given back to the production company. However, a cash rebate is based on the production company’s expenses. Sales Tax & Lodging Exemption: A state will try to entice a production company to film there by offering an exemption from both sales and lodging taxes. Fee-Free Locations: It’s important for any filmmaker to know that government owned locations are often offered for no cost. Remember – These benefits vary by state so it’s important to do the research and compare your production needs and constraints with the offers provided by each. Here’s a great website that compares state incentives! Understand that tax incentives offer options, but should not solely dictate where the filmmaker decides to shoot their film. 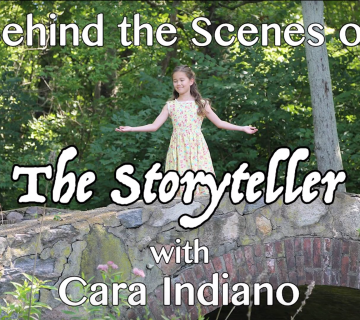 The Storyteller will be shot in Indiana, a state that does not offer incentives. This may seem like a disadvantage, but shooting in a state that doesn’t regularly have production companies shooting can be very welcoming, especially when compared to places like Los Angeles and New York. Once you’ve picked the state you’ll be shooting in, it’s time to start looking for specific locations. A Location Scout can be very helpful at this point. The production company will employ them to find a number of possible locations and present those decisions to the filmmakers. The benefit of having a location scout is that they know the area you’re shooting in and deal with location managers all the time. It can especially help when the production company isn’t local. The Key Criteria when looking for location is to know what you are looking for and be aware of your shooting schedule. The filmmaker has to have a vision for the film to understand if the scouted location will help bring the film to life. 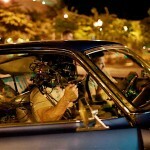 In addition, you have to understand how shooting in that location will fit into the entire production schedule. The filmmakers of The Storyteller have been sure to keep this in mind. Lighting: What does the location look like during the time that you’ll be filming? It’s important for your DP to know their canvas. Understanding how light enters a building will inform how the DP lights the scene and even what kind of equipment is needed. Power supplies: Are there enough power outlets for your equipment? If not, are you going to need to rent a generator? Outside noise: Sound should NEVER be underestimated. Is the building near any kind of airfield? If so, your days will be filled with “holding for sound” until the plane finishes flying overhead. Parking: How large is your crew? Is there enough nearby parking? Is it free or will you have to pay? Will you need a permit to park on the street? 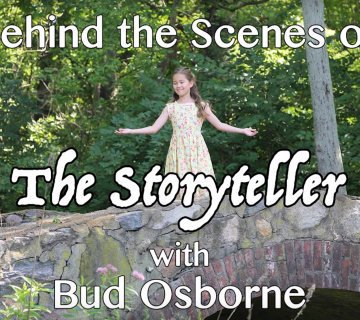 Depending on what locations are available, it is possible that your story will change. This is something The Storyteller has had to deal with first hand. Once a location has been selected, it needs to be secured. 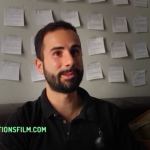 Obtaining a Film Permit is a key part of the process. Issued by the state government, a film permit authorizes the production company to film in the desired location (state owned or otherwise). The requirements for obtaining a film permit are different for each state and usually include: providing location details, date and time of filming, a description of the scene and if there are any stunts involved. In order to obtain a permit, the production company will also have to pay a fee and provide proof of production insurance. Join us next time when we discuss Script Coverage, Screenwriting Contests and The Blacklist: What is it and what’s it good for? Until then, here’s the trailer for an Academy Award Nominated film set in Australia – but filmed on location in Namibia!